Helps overcome and heal emotional traumas and clear the residual emotional debris often stored in the bladder. BLADDER SUPPORT™ BENEFITS: Formulated to help overcome and heal emotional traumas and clear the residual emotional debris often stored in the bladder. BLADDER SUPPORT™ INDICATIONS: The bladder is a pear shaped muscular sac in the pelvis, just above and behind the pubic bone, that stores and eliminates liquid waste. In Chinese medicine, bladder is considered a storehouse for emotions, managing emotional reserves and overflow. When we feel internally empty of reserves, everything seems to be too much to handle, uncertain, and frightening. Similarly, when emotions are overflowing, we can feel awash in an internal torrent, drowning, out of control and driven to desperation. Often these overwhelming emotions feel like too much to handle in the moment, so we store them in the bladder until we are able to process and move through them. 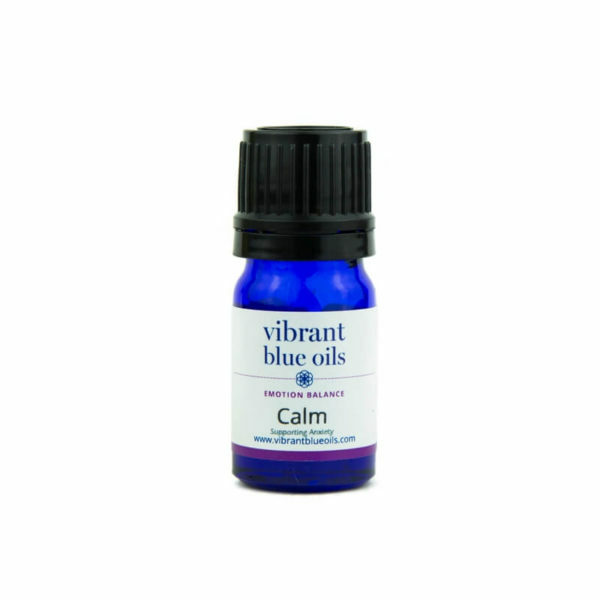 Vibrant Blue Oils Emotion Bladder Support™ blend allows us to let go of the negative past and release the emotional trauma from the body. It assists in overcoming feelings of despair and the feeling of being pushed over the edge. It also has the ability to balance the right and left brain. HOW TO USE BLADDER SUPPORT™: Designed for aromatic and topical use. If using topically, we recommend applying 2- 3 drops over the bladder (just above and behind the pubic bone), directly over areas of trauma or abuse, or around the outside of earlobes. Always test on a nickel sized portion of skin first. Make sure your skin can handle the oil/blend before using. Dilute to start or if any redness occurs. For Aromatic Usage, hold the bottle under nose for 3 or 4 breaths. WHEN TO USE BLADDER SUPPORT™: During periods of intense emotion, apply every 20 minutes. Under normal conditions, apply 2- 3 times daily. You can also put a few drops on a tissue or cotton ball and hold it where you can smell it. INGREDIENTS: Vibrant Blue Oils Emotion Bladder Support™ blend contains a proprietary formulation of organic and/or wild crafted essential oils of Frankincense, Geranium Rose, Helichrysum italicum,Lavender, Petitgrain Combava, Rose Otto, Sandalwood, Spruce, and Valerian Root. BLADDER SUPPORT™ AFFIRMATION: I comfortably and easily release the old and welcome the new into my life. I am safe. Sit and breathe in deeply, blowing out forcefully and listen to your body. Let the old emotions release in the out breath. Frankincense (Boswellia carterii): Helps relieve anxiety, nervous tension and stress related conditions. Helps overcome nightmares and fear of the future. Geranium (Pelargonium Graveolens): Soothes anxiety and reduces stress. Helps support acute fear, and overcoming abuse, hurt, and emotional crisis. It can also support extreme grief. Helichrysum italicum: Helps to heal and regenerate nerves and connective tissue. Supports the adrenal glands to optimize stress handling capacity. Petitgrain Bigarade (Citrus aurantium var amara): Helps ease panic, anger, and anxiety and relieve nervous exhaustion, depression, stress, and mental fatigue. It also stimulates the conscious mind to support clear perception and focus. Spruce (Tsuga canadensis): Supports the nervous and glandular systems. It is mentally grounding, helps balance the solar plexus, stimulate the thymus, and helps support anxiety and stress. Valerian Root (Valeriana jatamansi): Considered the best oil for sedative and calming properties. Supports any type of tension, restlessness, agitation and panic attacks. Helps calm the mind and redirect thoughts in a positive way.